Today I want to thank our thousands of supporters across Connecticut who have achieved tremendous victories and given our values a real voice in Hartford. Bipartisan passage of the Republican budget this week was a big win for Connecticut’s taxpayers and a defeat of Governor Malloy’s big government policies. It shows Republicans can lead our state. Because of your investment in our State Party, we had enough votes to pass a responsible budget into law, if only Governor Malloy has the courage to sign it. None of this would be possible without the momentum you have helped us build! 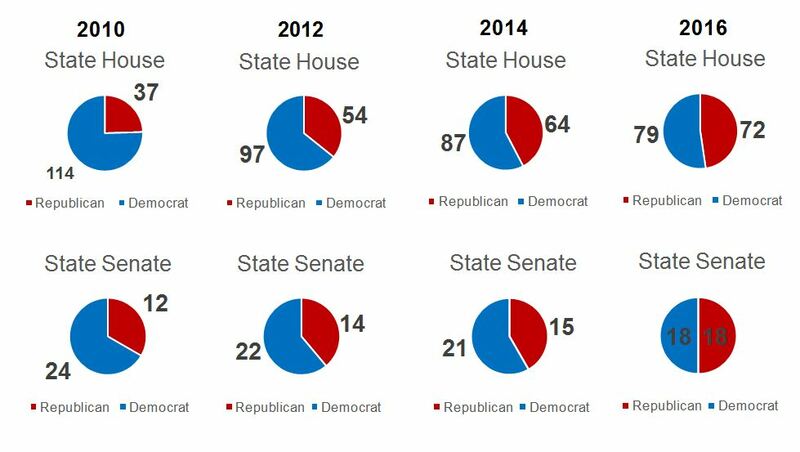 Over the past 8 years we have steadily gained seats in the Senate and House, including 2016 where we reached an historic TIE in the State Senate with 18 Republicans and 18 Democrats. Redoubling our commitment to electing REPUBLICANS across Connecticut is the only way to ensure that our values become enacted into law. But our work is not done with the passage of this budget. We must continue fighting for Connecticut families and restore fiscal balance in Hartford. Together, let's keep sending shock waves through the Democrat establishment and Take Back Connecticut! P.S. We thank Senator Len Fasano and Representative Themis Klarides along with their caucuses for their determination to implement badly needed reforms that respect hard work.